So, who had a go at break dancing back in the eighties? I can't remember ever trying it, although living out in the sticks meant that you didn't really get to hear much about the latest dance crazes! 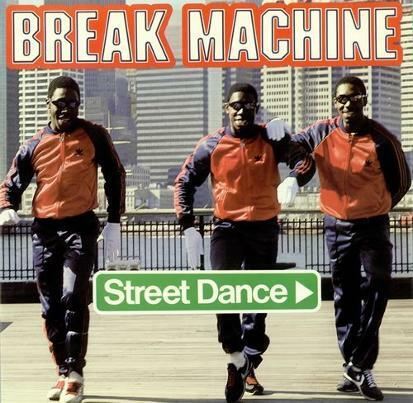 Break Machine reached #3 in March 1984 with their debut single Street Dance, also known as "that song with the whistling in" at my school. The rap/dance song was taken from the self-titled debut album which peaked at #17 in the UK album charts. Street Dance reached #1 in several European countries including Sweden, Norway and France. 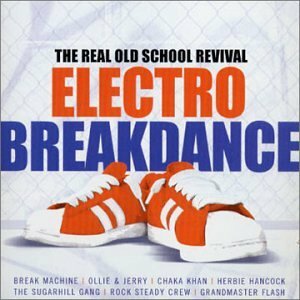 The breakdancing music act achieved success with two more hits singles in 1984; Breakdance Party (featuring more whistling, but with a nice funky guitar riff) which reached #9 (UK) and Are You Ready which peaked at #27 (UK). 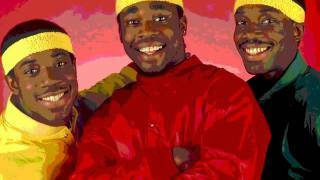 The producers behind Break Dance were also responsible for The Village People, and the group's front man, Keith Rodgers, is still creating music using the name SugaBear.